Pipilan is a program built in Cycling’ 74 Max for composition involving gamelan and electronics. To play, the user enters a simple melodic sequence, which is interpreted automatically by a set of instrumental and synthesiser parts. No prior knowledge of gamelan is needed – random sequences work just as well as traditional melodies. However, I hope that deeper exploration of the software will help understand how Javanese music is performed. The software exists in a few different forms – the version available for download here is a smaller scale piece of software I use for composition with the Augmented Gamelan ensemble. I have also been working on a version representing a larger-scale gamelan, which will be presented as an installation at KUG (the University of Music and Performing Arts, Graz), Austria, in April 2015. This software remains work in progress. Any bug reports or suggestions will be gratefully received. If the software does not load or make any sound at all please drop me a line to let me know! I am currently working on a version in Max 7 which will include a wider range of instruments and introduce Windows support. Download the following files, unzip and place them in the same folder on your hard drive. The User Guide PDF contains more instructions. http://ardisson.net/g/pipilan/Pipilan_April2015.zip – includes functionality to load text from Twitter. http://ardisson.net/g/pipilan/Pipilan_a03.zip – most recent stable version. More information and background on this project can be found in my PhD thesis (2014): http://ardisson.net/research/. I have been working on some supplementary patches to expand control for the software until I am ready to release the source. Ultimately I would like all the send/receive paths to be accessible for control. For now I am enabling this through user-built patches and/or OSC. See http://cycling74.com/toolbox/osc-to-send/ for more info on the “OSC send” abstraction used here. Requirements: Mac OS X 10.5 or later. See the Max/MSP technical requirements for more information on system requirements. 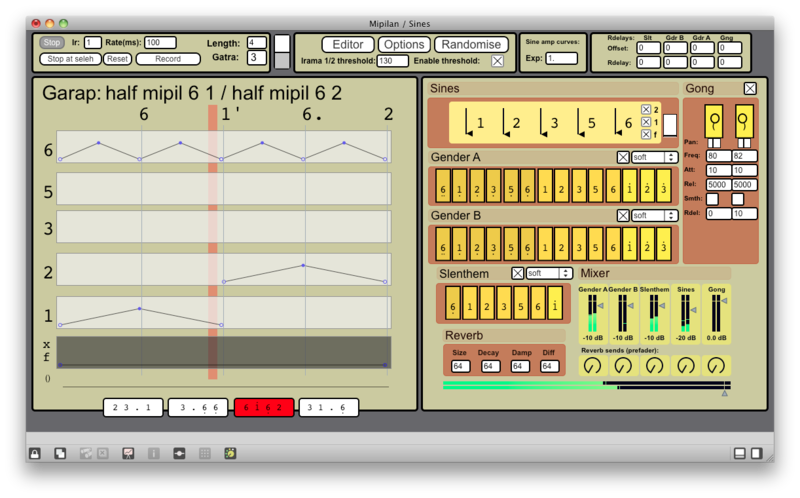 Pipilan is provided as a standalone app and Max/MSP is not required.